Presented Blinds Systems are applicable to all blind fabrics from BASIC, CONCEPT and PREMIUM catalogs from the SHADOWS CLUB collection. 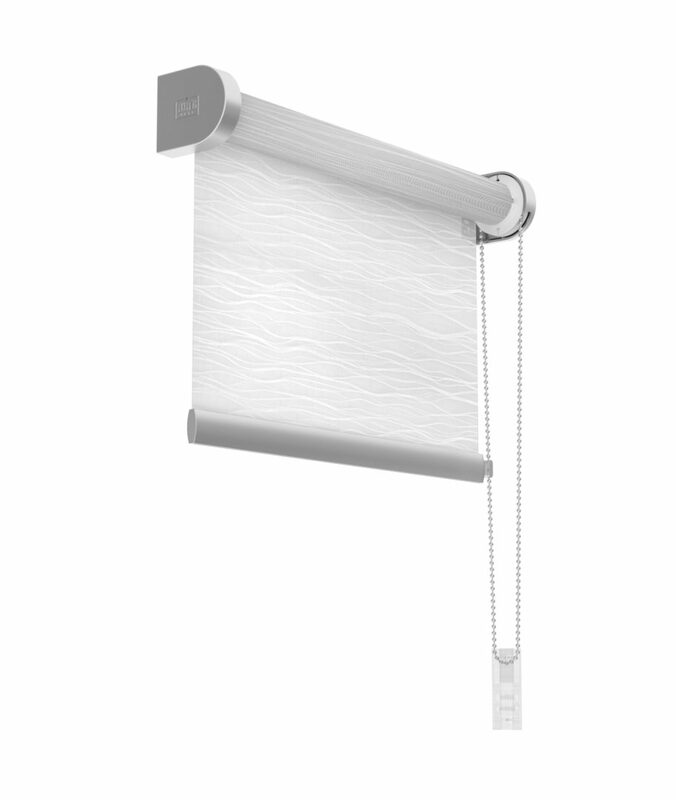 This is a roll-up type window-blind with a decorative plug. This system is recommended especially for the fabrics from the BASIC and PREMIUM collections. It is available in the following colors: chrome-matt, chrome-shine, white and black. It is equipped with a B-type weight and a transparent chain weight. The chains are available in plastic and metal versions and in coloring matching the other elements of the system. This is a roll-up type window-blind with a decorative plug. This system is recommended especially for the fabrics from the BASIC and PREMIUM collections. It is available in the following colors: chrome-matt, chrome-shine, white and black. It is equipped with a C-type weight and a transparent chain weight. The chains are available in plastic and metal versions and in coloring matching the other elements of the system. 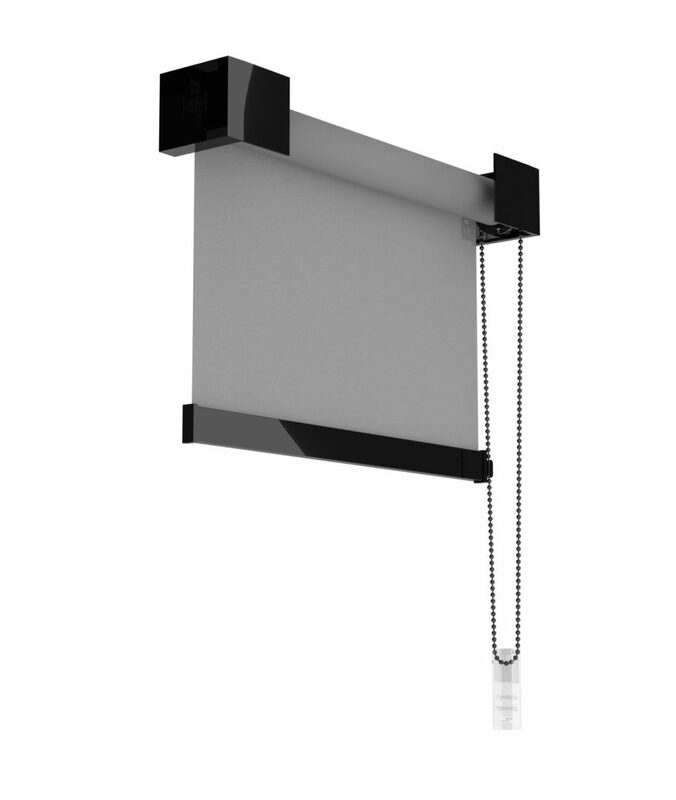 This is a roll-up type window-blind with a decorative plug. This system is recommended especially for the fabrics from the BASIC and PREMIUM collections. It is available in the following colors: chrome-matt, chrome-shine, white and black. It is equipped with a D-type weight and a transparent chain weight. The chains are available in plastic and metal versions and in coloring matching the other elements of the system. 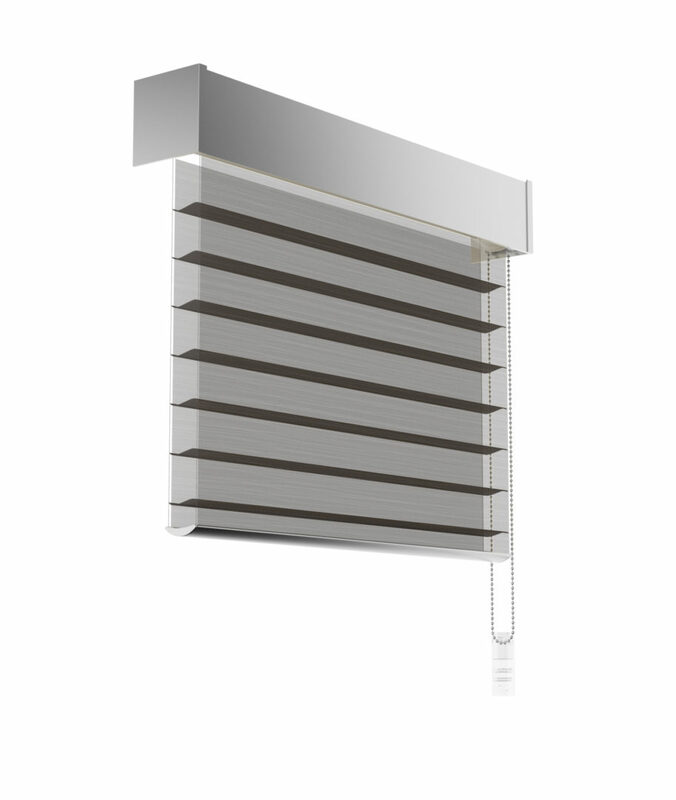 A window-blind system recommended especially for the Day&Night and 3D fabrics. It is available in chrome-matt and white. The square cassette’s dimensions are: 90mm height x 91mm depth. Depending on the type of the applied fabric, it is equipped with an appropriate weight (in the picture, a 3D fabric and a 3D fabric weight). The chains are available in plastic and metal versions and in coloring matching the other elements of the system. 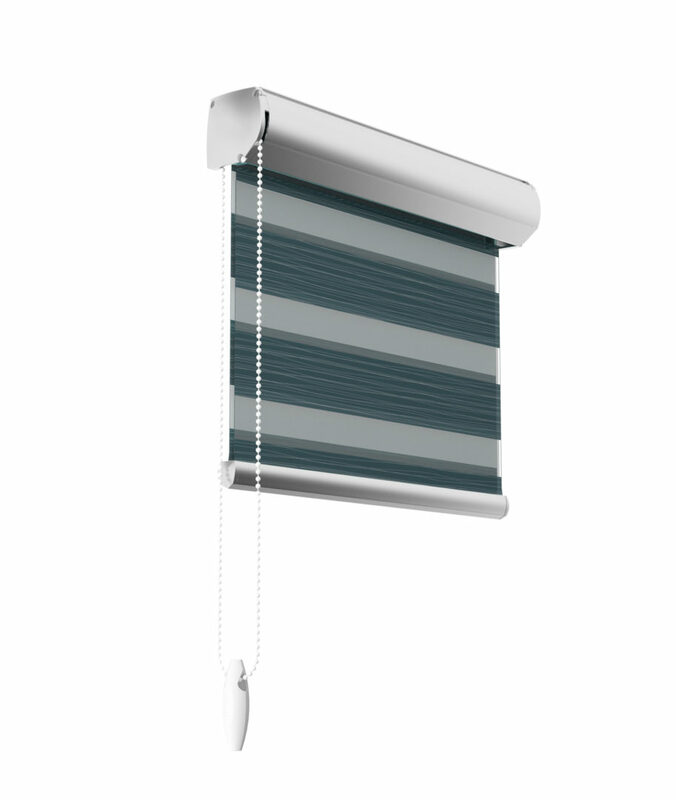 A window-blind system recommended especially for the Day&Night fabrics. It is available in chrome-matt and white. The rectangular cassette with a slightly rounded facade with the following dimensions: 66mm height x 65mm depth. Depending on the type of the applied fabric, it is equipped with an appropriate weight (in the picture, the Day&Night fabric and a B-type weight). The chains are available in plastic and metal versions and in coloring matching the other elements of the system. 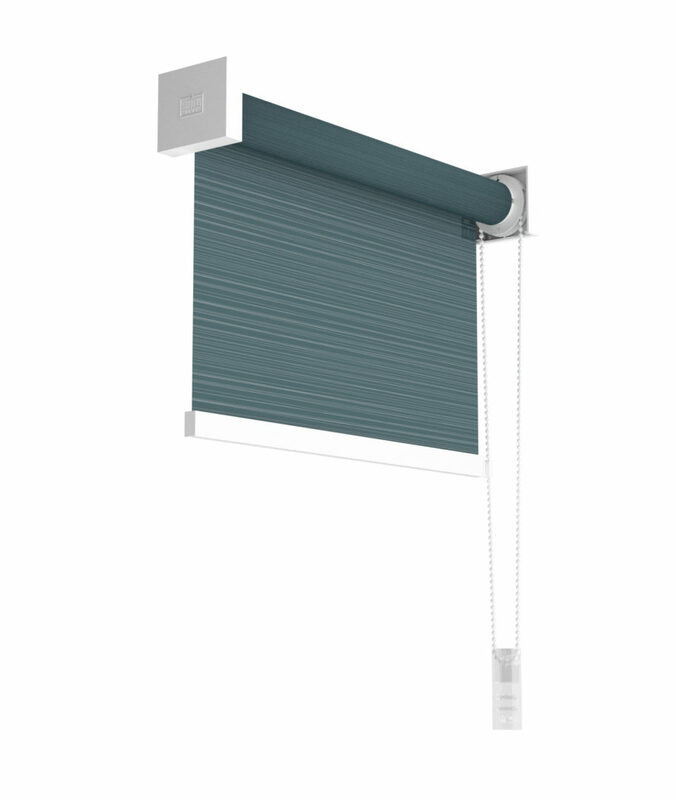 A window-blind system recommended especially for the Day&Night and 3D fabrics. It is available in the following colors: chrome-matt, white and anthracitic. The square cassette’s dimensions are: 86mm height x 87mm depth. Depending on the type of the applied fabric, it is equipped with an appropriate weight (in the picture, a Day&Night 3D fabric and a D-type weight). The chains are available in plastic and metal versions and in coloring matching the other elements of the system.